I ‘aven’t got any choc-ices. I’ve just got the albatross! Of course it doesn’t bloody come with wafers! It’s a bloody sea bird! 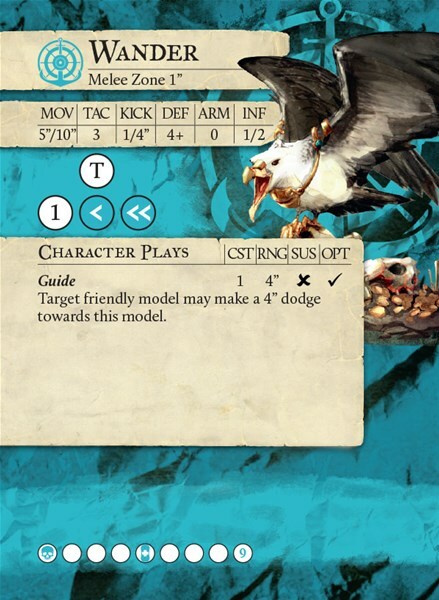 And soon you can add one to your team as Steamforged previews Wander for the Navigator’s Guild in Guild Ball. Wander has Precise Calculations and Flight, pretty obviously, she’s both a Navigator and a bird. Flight and a 10″ Sprint is super handy for getting her to the exact position you want for her to use Guide and pull a player to exactly where you want them. The coolest rule here, and one that’s unique, is About Their Necks. If you hadn’t already picked up on the theme, this model was very inspired by the Rime of Ancient Mariner (water, water, everywhere/And not a drop to drink, if that rings any bells?). In the poem, the titular mariner shoots an albatross that’s the ship’s good luck charm, and as a punishment, the crew hang it around his neck. This rule is intended to represent that, and also thematically serve as a ‘reverse Loved Creature’. 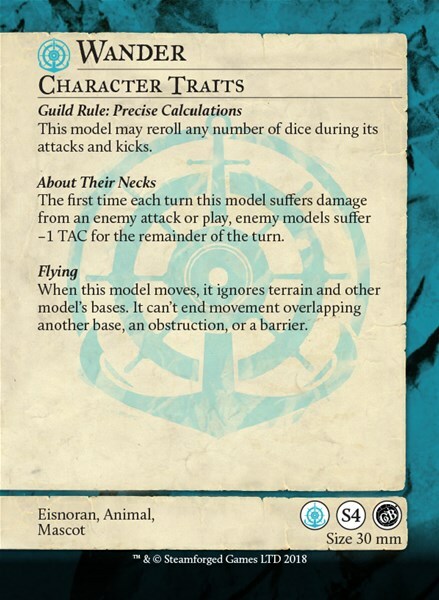 Damage an enemy Wander, and your whole team will suffer –1 TAC for the remainder of the turn. If it’s the last activation, sure, maybe you can live with that, but it forces you to think reeeeeaaaaal carefully about attacking the albatross, lest you suffer the ship’s bad luck!